Real estate business is a good carrier option if you are planning to start it with the dreams of making a name for yourself. But there is a tough competition from numerous new and established players. The competition is going to come from everywhere. According to 2012 Economic Census, the U.S had 86,004 real estate brokerage firms. The market for real estate companies or individual entrepreneurs in the U.S is vast comprising of 5.6 million commercial buildings and 87.4 billion square feet of floor space. 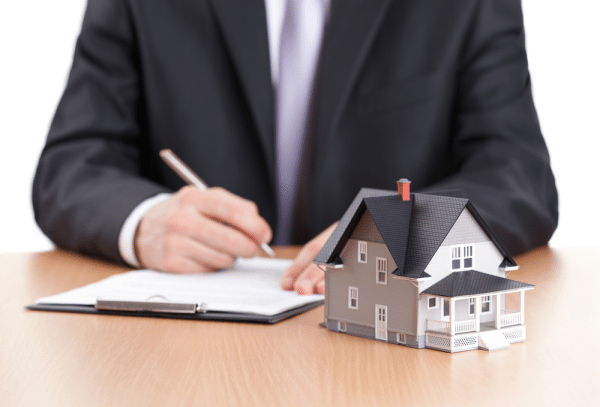 Also, the Association of Real Estate License Law Officials (ARELLO) says that more than 2 million active real estate licensees active in the U.S. However, do not be intimidated by the competition. When starting a real estate business, the focus should be on a good planning. The initial phase of a business is its foundation. 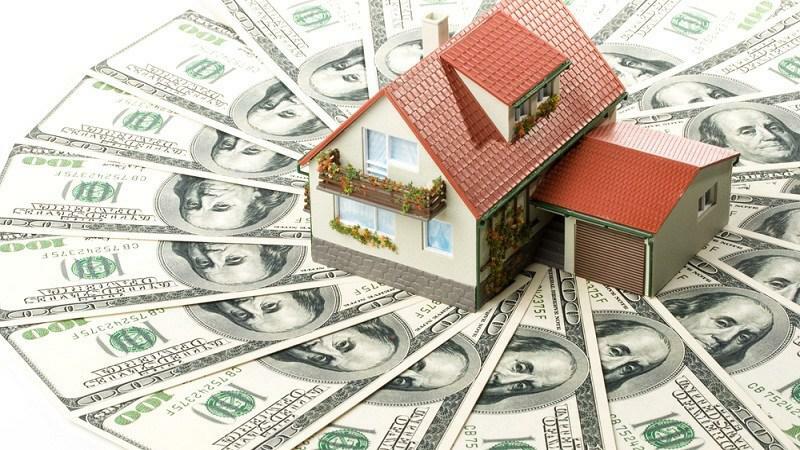 Make sure that the foundation is solid so that you can handle the harsh market environment successfully later on. So, to be successful in my own real estate business, I must be prepared to face the challenges. At personal level, and as a business owner, nurture your ambitions and become goal-oriented and organized person. Keep in mind that real estate sector is not about achieving instant success. Instead, it is a long game, which requires you to have a lot of patience. Like all other businesses, real estate business also is a vast field with numerous aspects. 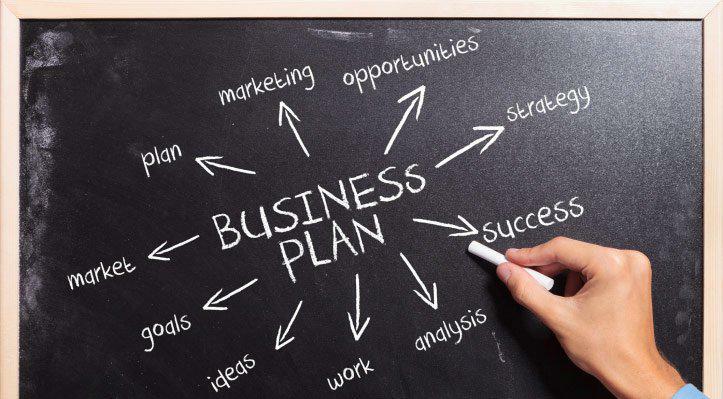 So, find out your business plan before proceeding further into the business. 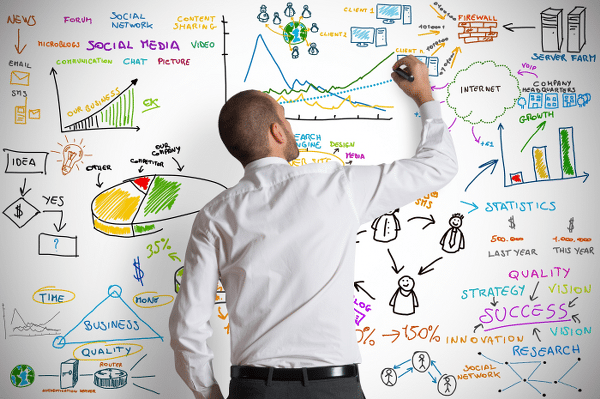 Write a business plan to have a clear map of the proceedings. The planning will give you confidence in moving forward in a measured way. For example, if you know how much cash you need to get your company started, you will plan purchasing the office furniture, equipments and other things accordingly. You can set realistic goals also. You can get advice from Small Business Development Center experts when writing your business plan. The purpose of a real estate business plan is to set goals and a direction. But more importantly, you can take the plan as a document to investors or lenders for financial assistance. Planning is also the best way to get you involved directly in the real estate projects. Market research is essential to know if your business idea will work, and which niche in the real estate market will be good for you. The research will also give you some idea of the ways to position yourself within the niche. Here are some points to consider. We have helped thousands of real estate owners from all around the world with their logo design needs. Branding is essential to build credibility and your business will look bigger than its size to the target consumers. Branding is all about creating a perception about your business in the minds of people. To turn your real estate company into a trustworthy brand, you need a great real estate logo design, an ad campaign, press releases and other such marketing strategies. You can follow these tips. 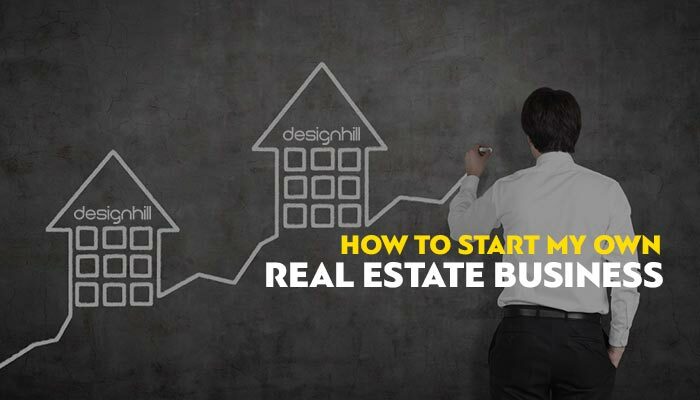 When starting a real estate company, only a small amount of money is usually enough. Many entrepreneurs started their real estate business for less than $1,000. But do not make the usual mistake of calculating the startup cost only. It is better to instead calculate ‘carrying cost’, which lets you know the amount you need to survive for next few months before getting your first payments from clients. When writing your business plan, know about the lenders whom you would be approaching for a loan. If you have not much money from own sources, then find the ways to get the investors in your side. Look around for a location where you can set up your real state shop. But a vast majority of the startup business owners start from own home. At the initial stage, focus on choosing a target market than to find out a location for your storefront. In fact, if your budget does not allow, find out the ways to work without having a proper storefront and work without hiring employees. Do not be choosy and rigid in getting a physical location for your shop. A flexible approach that allows you to adjust your plan is a nice one. You can even manage customer relationship by using Customer Relationship Management software. Such software and technologies are especially useful for new entrepreneurs to work from anywhere without worrying about a physical location. Make sure that your real estate business has a good presence on the web. Your potential clients make online search to find out real estate products and services on offer. But ascertain that your real estate website comes up on the top rankings of the search results on Google. A clear visible website at the top search result will mean that the consumers can reach to your website, where you have put all the details of your company and business. Your social media presence of business is also part of overall online marketing strategy. Use various social channels to form customer relationships. But build relationships also offline using traditional outreach strategy. To conclude, real estate business requires a business plan and researching of a niche market to find out the target consumers. The business starts with small money but finding out the investors is not difficult with a convincing business plan. Make strategies for a good online presence to drive consumers your way.